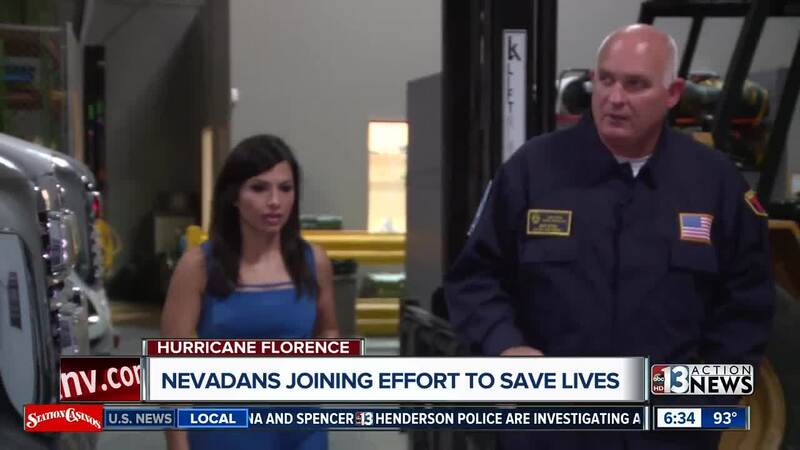 Nevadans are back east helping with Hurricane Florence response. FEMA has activated Nevada Task Force 1. A 16-person water rescue response force. As of Friday, they are cengaged in water rescue operations in Beaufort, North Carolina. 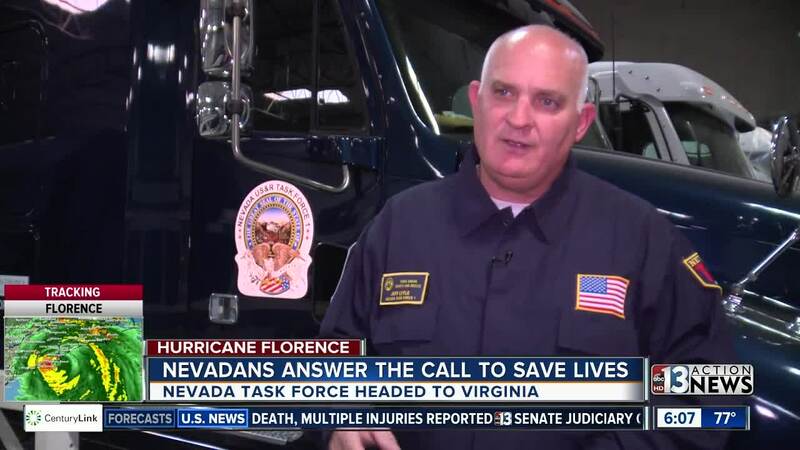 "Obviously anytime you send somebody out the door, there's a concern for their safety, we expect to put our people in harm's way, we train to put our people's in harm's way," said Jeff Lytle, Task Force Leader, Nevada Task Force 1 before departing. The team traveled in a convoy of four pickup trucks pulling trailers and one 10-passenger van. The team will be deployed for up to 21 days. If necessary, another team will be sent out.